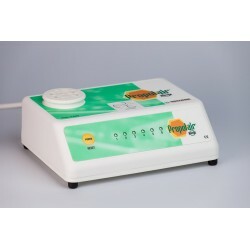 Clearance items from our Boutique - surpassed expiration dates on certain items, refurbished or slightly used propolis diffusers & vaporizers. Close-out Specials There are 20 products. PAST EXPIRATION DATE of 02/2018 - We've personally used this expired item and found it has no loss of effectiveness. Apireven Bee Venom Cream is specially formulated to relieve arthritis pain, sports injuries in various parts of the body; even effective in treating chronic skin conditions such as psoriasis*. PAST EXPIRATION DATE of 03/2018 - We've personally used this expired item and found it has no loss of effectiveness. 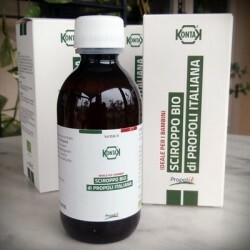 This 65% Propolis Extract is the strongest concentration of Propolis available on the market, making it the most effective way to consume a rich dose of certified flavonoid activity. PAST EXPIRATION DATE of 04/2018 - We've personally used this expired item and found it has no loss of effectiveness. 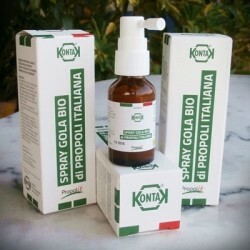 Organic Children's Propolis Throat Spray is made with organic Italian Propolis and honey in a non-alcoholic solution, vol 20ml. PAST EXPIRATION DATE of 07/2018 - We've personally used this expired item and found it has no loss of effectiveness. 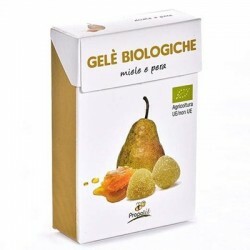 Organic honey, pear gum drops, made for kids (or adults), keeping in mind wellness and good health. It's candy with a conscience! PAST EXPIRATION DATE of 11/2018 - We've personally used this expired item and found it has no loss of effectiveness. 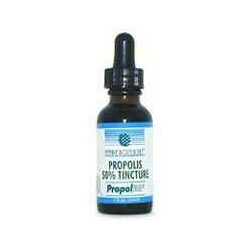 Formulated for children, Organic Children's Propolis, Herbal Cough Syrup is packed with the balsamic, soothing action of Echinacea and Ribes Nigrum, combined with propolis and honey bring Api-Phytotherapeutic relief. EXPIRED DEC 2018 BUT STILL DELICIOUS! 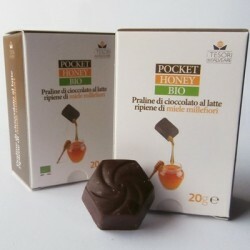 A super, delicious treat combining organic milk chocolate with organic Italian wildflower honey. Individually wrapped Organic Propolis, Citrus candies. A nice sweet treat containing propolis to help reinforce the body's immune system. PAST EXPIRATION DATE (NOV 2018) BUT STILL DELICIOUS. PAST EXPIRATION DATE of 12/2016 - We've personally used this expired item and found it has no loss of effectiveness. 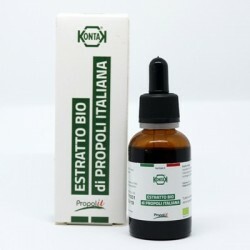 Certified Organic Propolis, proven to be Italy's best, is rich in flavonoids, noted for their therapeutic properties. Past Expiration Date of 09-2018 - We've personally used this expired item and found it has no loss of effectiveness. 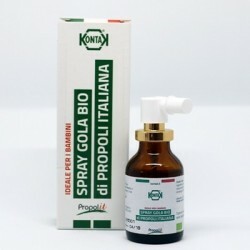 Organic Propolit Throat Spray with organic Propolis and honey in 25% alcohol/vol, 20ml. Individually wrapped Organic Propolis, Wild Berry candies. A nice sweet treat containing propolis to help reinforce the body's immune system. PAST EXPIRATION DATE (NOV 2018) BUT STILL DELICIOUS. RECENTLY EXPIRED - 07/2018 yet still very effective! Combining the cleansing properties of Propolis and the purifying properties of Thyme and Mint, with the softness of Honey, this Organic Throat Spray is especially suited for oral hygiene. Contains no artificial coloring or preservatives and can be used even intensively all day long.